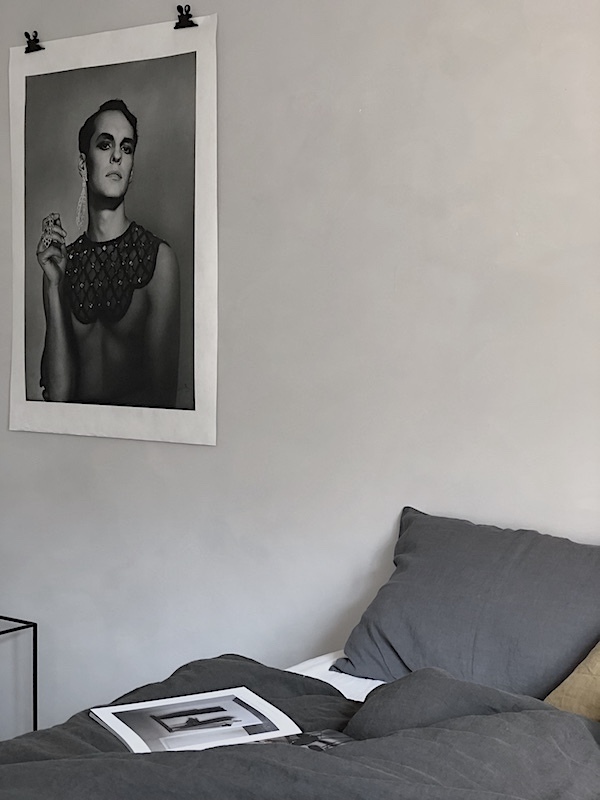 Last week I gave you a sneak peek of my bedroom update, plastering ceilings throughout the house and getting rid of the ugly and old fashioned ceilings from the eighties was something that really made a difference. Painting the wall in a beautiful grey and updating the mattresses as I showed in this post last week A bedroom make over for Spring | My home was the next step. With the grey wall I also wanted to update the bedlinen, adding something special to the room. 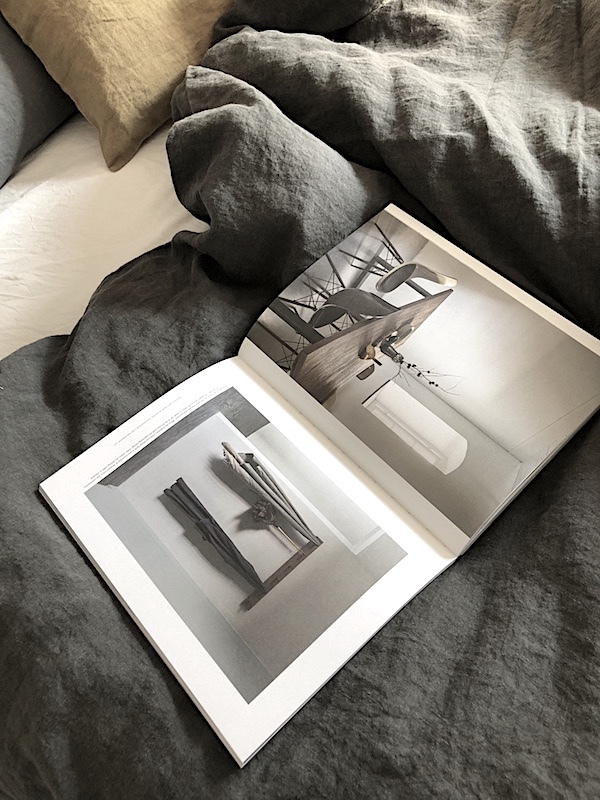 The bedlinnen by Linge Particulier has been on my wish list for some time.... I have been drooling over it even maybe for some years during my Parisien shopping adventures. 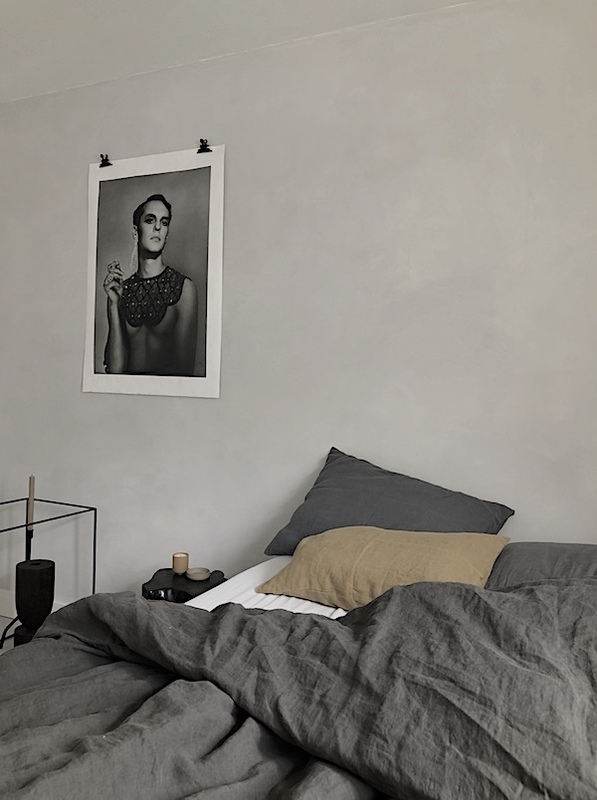 Luckily Couleur Locale had the right colour I was looking for in their bedlinnen collection and I choose 2 different shades of grey, perfectly fitting the wall behind the bed and a small ochre pillow that fits the gold from the poster by Paper Collective as shown in the post. “Linge Particulier” pre-washed linen is made of flax, it feels warm in winter and cool in summer. After washing (at 40 degrees) it becomes even more supple. It’s anti-allergic and no-iron! 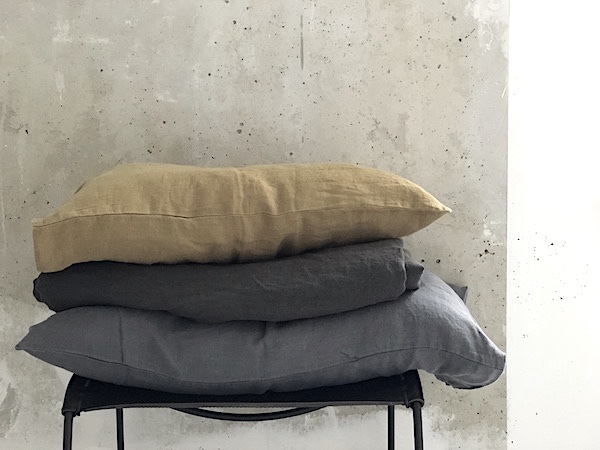 Couleur locale has a collection of (fitted) sheets, duvet covers and pillow cases all in beautiful linen. 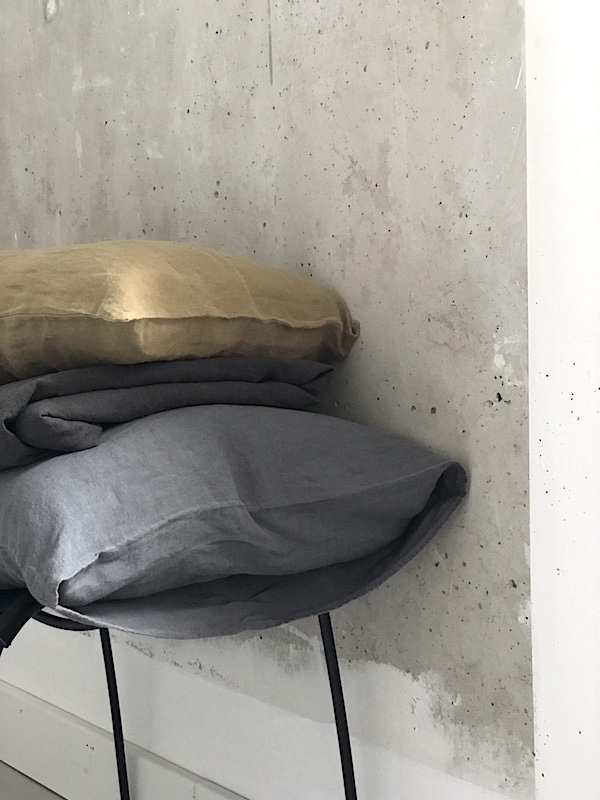 I can't wait to experience with the different bedlinen and maybe do a completely different look once Summer arrives, but I am also thinking of something more brownish. 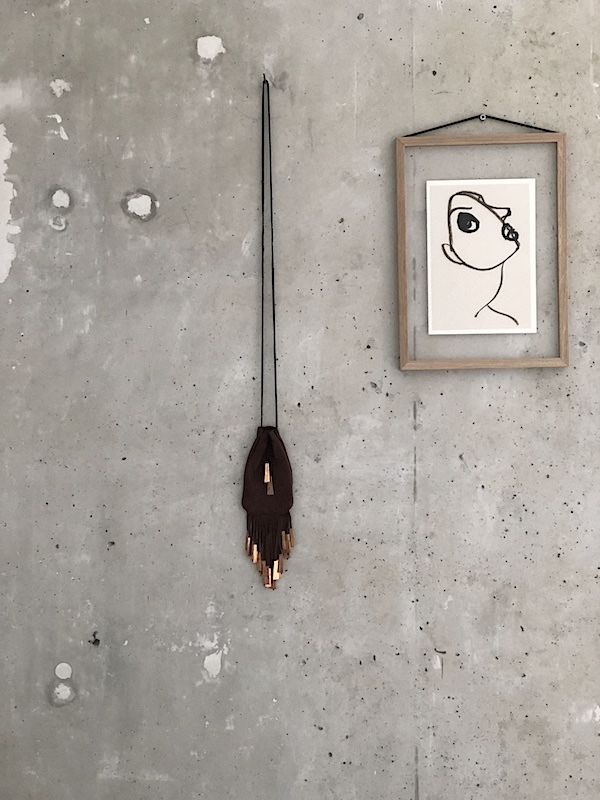 More info at the Couleur Locale website and online store where you will find a variety of exclusive items for your home, curated by the shop owners during their many travels through Africa.